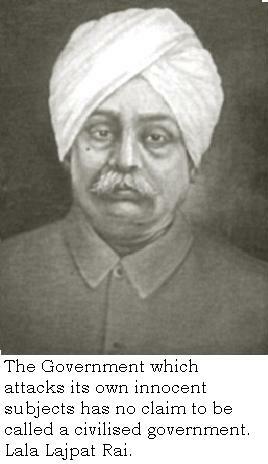 Lala Lajpat Rai (28 January 1865 - 17 November 1928) was an Indian author, freedom fighter and politician, popularly known as one of the prime faces in the fight for Indian Independence. Here I have compiled down some of the famous Lala Lajpat Rai quotes and sayings. Just hope you will like this quote compilation and learn something from Lala Lajpat Rai words.